Capture photos and videos: With this device it is possible for a person to capture first-person videos and still photographs just by saying a simple command. It is also able to post and share them via Google hangouts. All this and much more but without the use of hands, makes for an incredible gadget. Get Google search results: Google search has never been so easy. With this device it is possible for the user to simply put in the search phrases using voice modulation and even get the answers instantly on the display eyeglass. The data connection needed for the same has to be either provided by Wi-Fi connectivity or the user’s Smartphone data connection. Get turn by turn directions: While navigation maps make it easier for people on the road to find and reach places, constant checking of the Smartphone while driving can be a source of hindrance. But the use of Google glass has made it easier to use these navigation applications for the results are displayed right in front of the eyes. The headset which comes along with it also keeps telling turn by turn directions to the user. Voice translation: This feature becomes extremely helpful when on a visit to a country with a different language or even when business or partnership has to be conducted with people who do not speak English. Just like the Google translator, words spoken in a language can be converted to another by this gadget with the results being displayed in front of the face. Setting virtual reminders: Just as reminders can be set on Smartphones, the Google glass too enables its users to set reminders of pre-ordained tasks, visits, schedules etc. It can also sync with the user’s calendar and appropriately remind the user of an upcoming meeting or work etc. 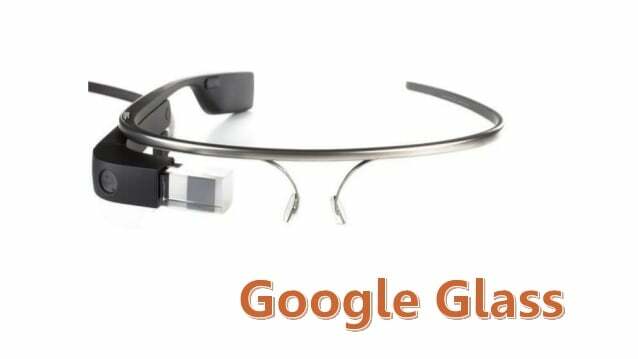 Google Now incorporated: These hi-tech spectacles also come integrated with Google Now which enables the user to get real-time updates on situations, happenings etc., based on the current location of the user. Recognizes voices and gestures: Voice modulation and recognition is a feature which is common to Smartphones but Google glass goes one-step further. It is even able to recognise and respond to simple movements of the face and hands. In fact so advanced is this gadget that it even allows its users to use voice dictation to respond to emails while at the same time displaying the message for possible editing before finally sending it. There are number of other features too which are associated with the Google Glass like voice-only calls and even video chats etc. In fact according to Google, even prescription Google Glass would soon be available for use. The convenience with which this gadget can be used, is probably one of its best features. Azhar is a Calgary Entrepreneur who thinks he has found his true calling :) Helping start-ups and small businesses get to the next level is the best feeling in the world. Currently works @ agua Entrepreneurial Solutions Inc. as Website Solutions Expert. Azhar is also a SEO specialist and a writer. Copyright 2018 AGUA Entrepreneurial Solutions Inc.